Designer Printables to Organize, Plan, and Decorate! Announcement Spend a little time here at Designing Life and browse the printables created to help you to design your life intentionally. Browse calendars, day planners, to do lists, and more, all created to help you plan, organize, and decorate! 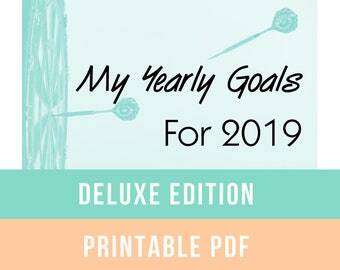 Spend a little time here at Designing Life and browse the printables created to help you to design your life intentionally. 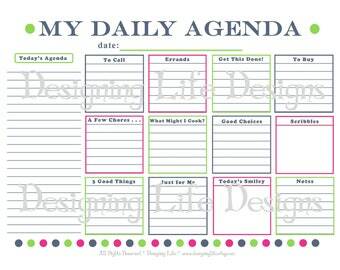 Browse calendars, day planners, to do lists, and more, all created to help you plan, organize, and decorate! While in school for art and design, I coined the phrase Designing Life to use as my business name for interior design projects. To me, it represented my desire to not just design a room, but to help clients purposefully design their lives starting with their homes. My approach was always a simplistic yet pleasing design that immediately met the client's budget requirements and their need for space and organization. After school, I married my college sweetheart and moved to Virginia. There I continued in design with a local firm and I began to set up the foundations for Designing Life. One of the biggest things that I learned was through my design job in Williamsburg, Virginia. I learned that most design firms feed on women who are hurting and desperately need to feel like they have it all together. Women came in wanting to have their home decorated better than their neighbors. The firm I worked for counted on it. I decided then that Designing Life would not prey on women with needy hearts. Designing Life would be available to women who wanted their home to reflect their lives and have their home build them up instead of being a drain on their time and their resources. My husband’s mother is a teacher and my mother is a nurse, so I wanted Designing Life to have services that were available to wonderful women like our mothers. Why should teachers and nurses not have access to design professionals? So Designing Life would be different. My husband and I moved to Mississippi and life changed dramatically. We were expecting a baby! I continued working in design those months before my son was born, but when he came into my life I knew I wanted to stay home to be his full time mommy. However, I still wanted to do design since design was a part of my life. Designing Life (Etsy style) was born out of this desire to continue design while staying at home with my little man. I developed the idea to provide PDF presentations to online design clients and at the same time I realized that a few other designers online had already begun this practice. I joined in with these other designers who often call their services “E-Decorating” and decided that I was going to provide “E-Designs.” After all, I am an interior designer. Since then, the market has blossomed and many designers offer online presentations. However, Designing Life differs in that these E-Designs are affordable to most families, single parents, and military families. Due to the nature of an E-Design, Designing Life is also able to provide the custom PDF E-Design presentations to people across the world with completed projects in areas such as Sweden, Germany, and across the US. “What is an E-Design?” you might ask. An E-Design is a PDF presentation that will often include paint colors, concept colors (for buying accessories), 15-20 home décor selections (including furniture, wall décor, rugs, accessories, pillows, bedding, lighting, and other design related items), concept ideas, a basic floor plan, as well as an Excel file that has a shopping list which provides each item, it’s price, where to find it, and it’s location in the room. The design presentation is compiled after the client (Etsy buyer) fills out a digital interview form explaining their needs, likes, and desires for their room. The process can take anywhere from a week to a month depending on the size of the order (how many rooms, how large the rooms are, etc). After going digital, I have been able to stay at home with my son and still do what I love. Since Designing Life’s Etsy shop’s conception, I have been able to help multiple families come up with a plan for rooms within their homes. The goal is to provide a solid foundation for a room including organizational spaces, design elements, a color scheme, and a plan on which to base future purchases for that room. My new goal is to begin to develop home planning resources to help my clients to manage their homes and lives well on a daily basis. My newest E-Designs are actually PDFs that are printable resources to aid families and individual persons to plan their days, their cleaning, and their children’s schedules. Due to my love of design and art, I often showcase my current art projects in my shop. I have had mardi gras bead art, acrylic paintings, hand-painted onesies, framed fabric, vintage décor, and even designing earrings. My shop has evolved and will continue to change as I grow to meet my clients’ needs and grow as a person. My family has moved back to the States! I am a mother, a military spouse, a Christian, and an artist. My beautiful little boy makes every day filled with smiles. My shop is both my hobby and the continuation of my Interior Design and Home Organizing professional pursuits. Enjoy! Welcome to my designer printable Etsy shop! Thank you so much for visiting and I look forward to helping you with your home needs and organizational needs! No refunds will be given for E-designs (digital PDF files). However, your satisfaction is guaranteed. If for some reason the E-design is not to the client's liking, alternate PDF selections will be presented to the client. The process must occur within 6 months from date the order has been placed to be eligible for a redo. I accept PayPal and all payments through Etsy's direct checkout. All digital items have free shipping! I love custom orders! 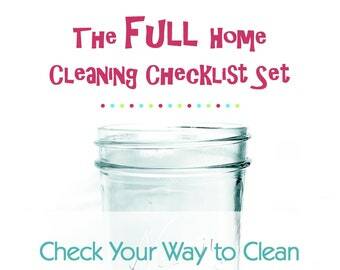 Feel free to request a designer printable or a Cleaning/Organization Checklist for your space.